Another one of the title characters from Leigh Bardugo’s wonderful duology, Six of Crows/Crooked Kingdom. 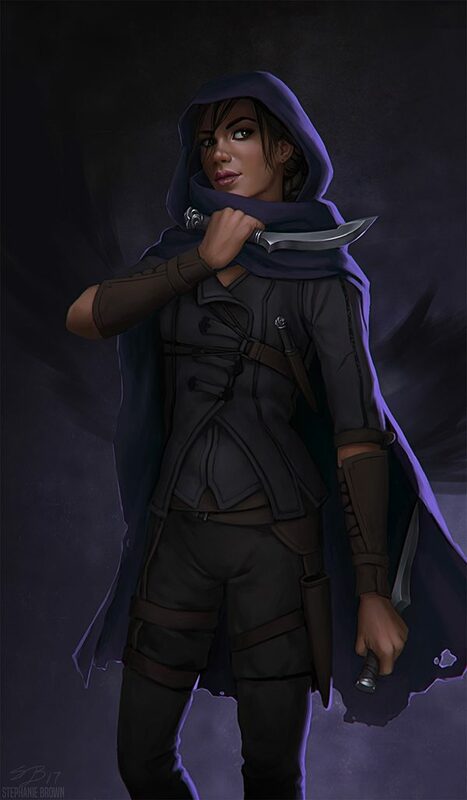 This is Inej Ghafa, aka The Wraith. She’s a little ninja spy, and wonderfully fun to paint.